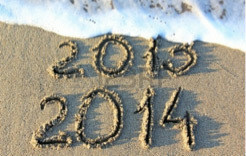 I am not sure anyone saw such a good 2013 coming with the headwinds we faced at the beginning of the year when we endured the largest tax hike, a sequestration, a D.C. argument about the fiscal cliff and risked default on our debt service, a possible war in the Middle East along with the attack in Benghazi, and finally a government shutdown. At this time last year many economists predicted a 2013 recession, while I laid out an argument that the market would have a good year. As we begin 2014, I find myself in the same position again. Many argue that stocks must retreat, because they are up over 100% since March of 2009. Others argue that we must have a decline since there was no decline of 10% or greater since 2012. Still others argue there will be a decline due to the Fed’s eminent tapering of quantitative easing, reducing the “free money” and causing long-term interest rates to rise. I want to address each of these and then tell you where we see the most likely opportunities, risks, and scenarios unfolding in the next twelve months. First, the markets do not have to do anything simply because they have not done so in a while and they do not have to change with the calendar. Sure, there are some who will sell in early January to book gains in which taxes are deferred until April of 2015. That is a short-term occurrence – not a “January effect”. As for this bull market lasting almost five years now with a gain from the low of over 100%, that too means nothing. If we go back ten years, neither the bottom of the NASDAQ crash or the top of the recovery, we find that just a 7% average annual gain in the index would rest it well over 2200 today, a 20%+ gain from today’s 1837. Not that this should mean any more than the previous, but rather to demonstrate that when one plays with numbers, a mathematician can take either side and make a case. What really matters is the fact that the U.S. economy and the economies of most nations are growing. Many are growing at plow horse speed, but they are growing and show many positive signs. Jobs reports have been coming in at decent and growing numbers while the ISM (Manufacturing sentiment index) has risen for seven straight months, and energy prices, due to fracking, are now dropping and we expect they will continue to decline. 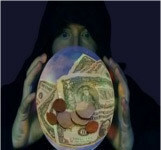 Lower energy prices adds real dollars to the economy as money not spent at the pump is available for other endeavors. Lower energy costs also make our manufacturers more competitive on a global basis, adding jobs here at home. Then there is that argument about rising interest rates due to the Fed tapering (reducing the amount of monthly money printing and the subsequent purchase of long-term Treasury bonds). They argue that rising interest rates will cause both bonds and stocks to decline. I agree with the bond half of that argument. There is no doubt that higher interest rates make lower paying bonds worth less. Who wants to buy a 4% CD or bond if the new rate is 5%, unless of course you get quite a discount on the purchase of the lower yielding CD or bond? But that certainly does not apply to stocks at these rates or at this time. This is what has happened since May of last year when the 10-year Treasury was yielding 1.6%. Since then, the yield has almost doubled to 3%, yet the S&P 500 gained over 15% during the same period. Most corporations are flush with cash – they have retained earnings after years of reduced capital investment. And the vast majority of the debt they carry has been refinanced at very low interest rates, for five, ten or even thirty years. There is little need to borrow again anytime soon so slightly higher interest rates will not have much, if any, effect on returns. As for the Fed’s slow withdrawal of liquidity, first it is excess liquidity not being utilized and second it is excess liquidity not being utilized (emphasis). 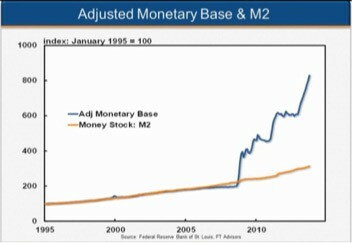 See the Federal Reserve chart on the left which shows the near exact correlation of the adjusted monetary base (all the money in the system) and the M2 money supply (bank loans) until the Fed began QE 1, 2, and 3 (blue line) while banks continued to lend at the same 6% to 7% annual growth rate. It is not that banks are not lending, they just have not kept up with the Fed’s 30% per year growth. What happened is the Fed created money (Quantitative Easing) and injected it into the system via the purchase of U.S. Treasury bonds and the purchase of mortgage-backed securities, but the banks did not use that excess. Hence, I see no reason there should be a hit to the economy when this money is withdrawn, if in fact it ever is. Tapering just means that the Fed will grow the Monetary Base at a slower rate, it does not deal with the excess money still available. It is important to remember that profits, not central banks, drive the stock market higher. I believe there is a good chance that should the Fed announce another taper of $10 Billion per month after the FOMC meeting at the end of this month (from $85B/mo. to $75B in December and down to $65B at the end of this month), there will likely be several market reactions. The most prevalent will likely be a strengthening of the dollar and another hit to bonds, as the long yields will likely rise. This will likely cause gold to retreat from its recent $1240/ounce range and emerging markets will probably take a hit as the carry trade further unwinds (traders who borrow at low rates here and invest at higher rates in emerging economies). They get hit by both increased rates here and a dollar that strengthens against the currency of the country in which they invested. After that settles, perhaps after a third taper at the March FOMC meeting, some emerging markets will very likely be very attractive, and perhaps, gold too. We have been developing our wish list of companies in various countries which are very attractive now and likely to be bargains after such events play out. Well capitalized banks and insurance companies should benefit in a rising interest rate environment and airlines should continue to reap benefits from their recent mergers and declining fuel costs. We will continue to be invested in these until the landscape changes. Many biotech companies are nearing big paydays for breakthrough drugs and equipment, so we continue to find those and enlist some of the best analytical information available to help find them. We will also maintain our long position in the Japanese (Nikkei) market, combined with a short position on the yen. There is also a pent-up demand for industrial and technology equipment as little has been invested in either over the past six years. Clean water technologies, social media companies with the ability to monetize their users, and transformational technology companies are just a few additional areas that offer opportunity. We continue to favor the picks and shovel companies in the energy sector (suppliers of drill bits, fracking materials, and pipe) while avoiding the big exploration companies which are hurt by the lower oil prices. Finally, there are many overseas growth companies, priced at very attractive valuations. We continue to add the European, Asian and some companies from Mexico. As mentioned above, there may be other opportunities abroad in the near future. So, the opportunity is there, and at this moment I do not see any valid reason to fear it. We will continue to take a conservative approach while maintaining the goal of maximizing profits. Of course, we always maintain our ability to change our opinion if the facts change (as we have done so many times in the past).